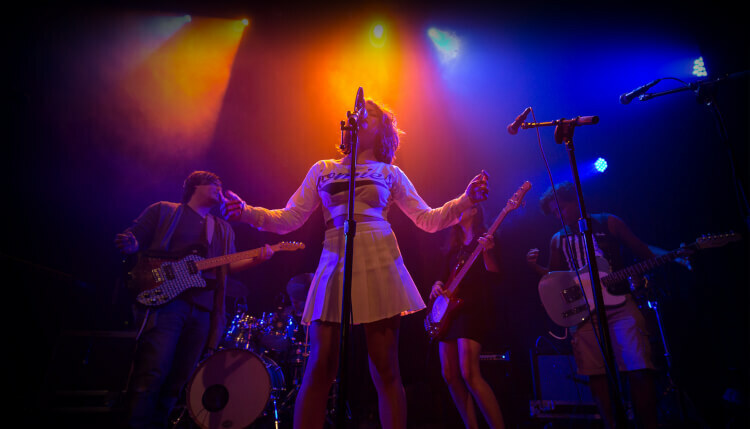 The Center Stage Artist Search Program is an opportunity to be seen by a major record label. Singers ages 13-19 can submit an audition video as part of the selection process. 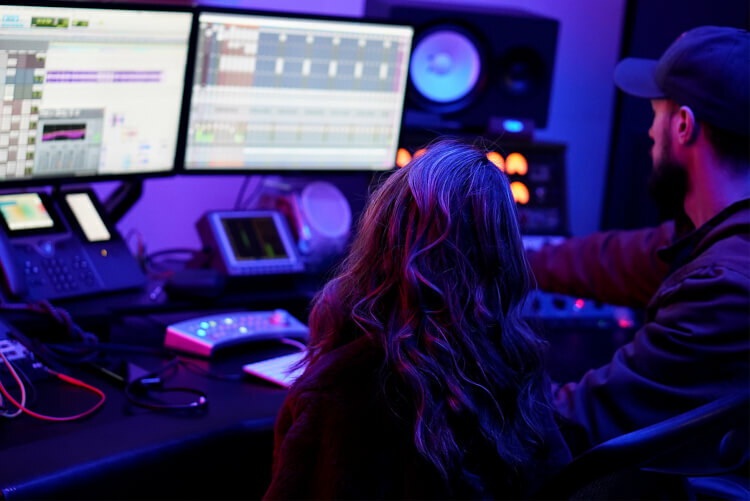 Selected artists will have an opportunity to participate in a recording session, and perform in a live artist showcase with record label executives in Los Angeles. Additionally, we will provide 100 applicants with School of Rock songwriting camp scholarships. Submit your video audition today. 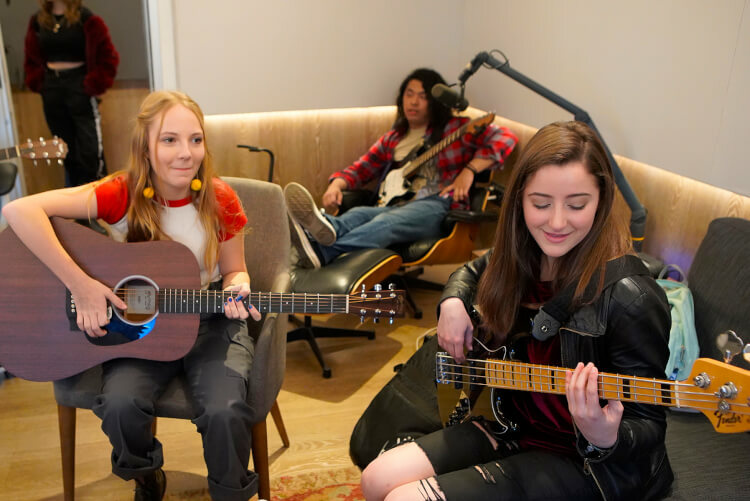 The music of legendary recording artists can be the primary inspiration behind many School of Rock students’ drive to pick up an instrument for the first time. We use these artists’ music as the foundation of our curriculum because it helps maintain young musician’s drive to gain musical proficiency. Center Stage is a program to help usher in the next generation of great artists that will one day inspire others to begin their musical journey. How do you participate in the Center Stage Program? Singers ages 13-19 can submit an audition video during the submission timeframe. For more information, and to submit your video, go to www.schoolofrock.com/centerstage. How old do you have to be to audition for the Center Stage Program? All applicants must be age 13-19 on the day that they submit their video audition. Do you have to be a School of Rock student to participate? No, you do not need to be a School of Rock student to apply. Both School of Rock students and non-School of Rock musicians may apply to the Center Stage program for free. 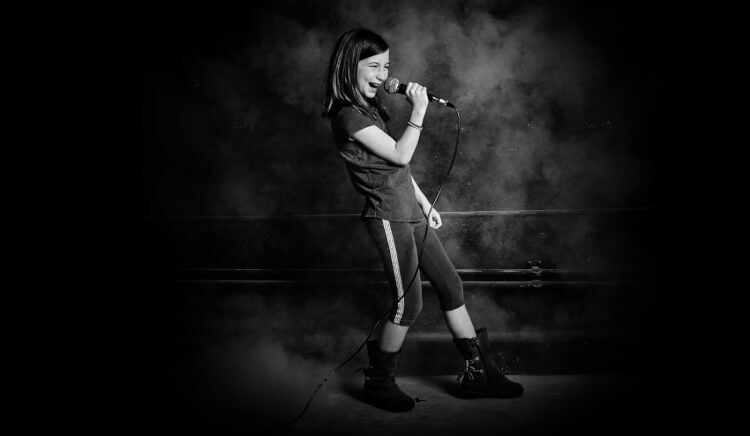 Every School of Rock student applicant, however, will also receive written feedback and coaching about their submission to help them improve their skills going forward. Do you have to be a singer to apply? Yes. Center Stage is a program designed for vocalists. Applicants can (and are encouraged to) play other instruments, but will be judged solely on their vocal performance. Videos can be submitted anytime between April 1, 2019 through June 30, 2019. You can submit online at www.schoolofrock.com/centerstage. What does a submission video look like? You can find a sample submission video at www.schoolofrock.com/centerstage. When are applicants notified if they’ve been selected to come to Los Angeles? Applicants who are selected to come to LA for the live showcase and recording session will be notified before September 30, 2019. At School of Rock, we offer a variety of music programs to accommodate students with various skill levels and different ages. Our lessons continually work to advance our students' skills with the goal of making them incredible musicians. Click to learn more about our specific lesson offerings.